What Environmental Exposures Cause Lung Cancer? Exposure to radon in the home is the second-leading cause of lung cancer and the leading cause in non-smokers. It's estimated that around 21,000 people develop lung cancer from radon each year – a cancer with a 5-year survival rate of only 15 percent. To put this in perspective, around 39,000 women die from breast cancer each year. Radon is a radioactive gas that is produced by the natural decay of uranium in the soil. It can enter homes through cracks in the foundation, around sump pumps, and drains and through gaps around pipes and wires. Having been found in homes in all 50 states, the only way to know if you are safe is to test your home for radon. Simple do-it-yourself test kits are available at most hardware stores. Exposure to asbestos is ordinarily considered an occupational exposure, but working with asbestos insulation in older homes (those built prior to 1970) can result in exposure too. Asbestos is responsible for roughly 84 percent of cases of mesothelioma, a cancer involving the lining of the lungs, and is responsible for other forms of lung cancer as well. Left alone, asbestos poses little danger, but exposure can result if it is disturbed. If you choose to remodel a home that may contain asbestos insulation, hire a certified contractor. Air pollution has been looked at as a possible risk factor for lung cancer, because there is a significant difference between the incidence of lung cancer in urban and rural areas, with lung cancer being more prevalent in urban areas. 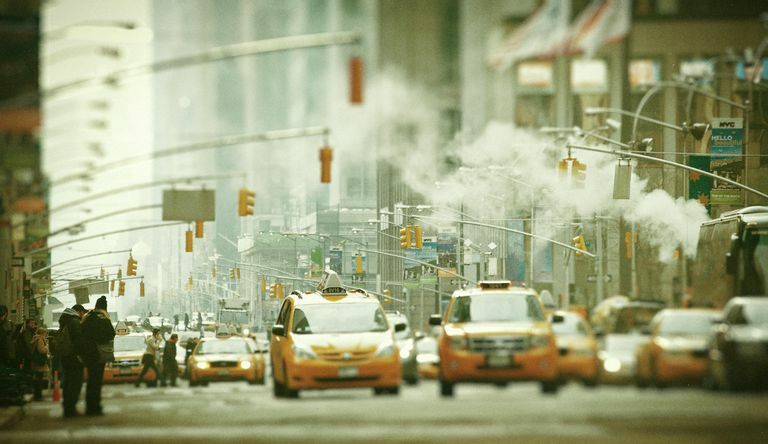 It is uncertain to what degree air pollution contributes to lung cancer in the United States, but according to the largest study to date, more than 10 percent of lung cancers in Europe may be secondary to air pollution. As with asbestos, most exposures to cancer-causing chemicals occur in the workplace. Certain products used in the home, such as some wood strippers, contain chemicals that are associated with an increased risk of lung cancer. It's important to read labels on any of these products and take appropriate precautions as directed on the packaging. Exposure to medical radiation to the chest for other cancers, for example, Hodgkin’s lymphoma or breast cancer, can increase the risk of lung cancer although the benefits of treatment usually far outweigh this risk. In Japan, exposure to atomic bomb radiation was associated with an elevated risk of developing lung cancer. Exposure to wood smoke may increase the risk of lung cancer. Converting from wood-burning stoves and fireplaces to other options, such as gas fireplaces, is one way to reduce this risk. ACS. Radiation Exposure and Cancer. Boffetta, P. Human cancer from environmental pollutants: the epidemiological evidence. 2006. Mutation Research. 608(2):157-62. Delgado, J. et al. Lung cancer pathogenesis associated with wood smoke exposure. 2005. Chest. 128(1):6-8. Environmental Protection Agency. Asbestos. Updated 07/14/16. Environmental Protection Agency. Radon. Updated 05/17/16. Nafstad, P. et al. Lung Cancer and air pollution: a 27 year follow up of 16209 Norwegian men. 2003. Thorax. 58(12):1010-2. Is Your Job Putting You at Risk for Lung Cancer?